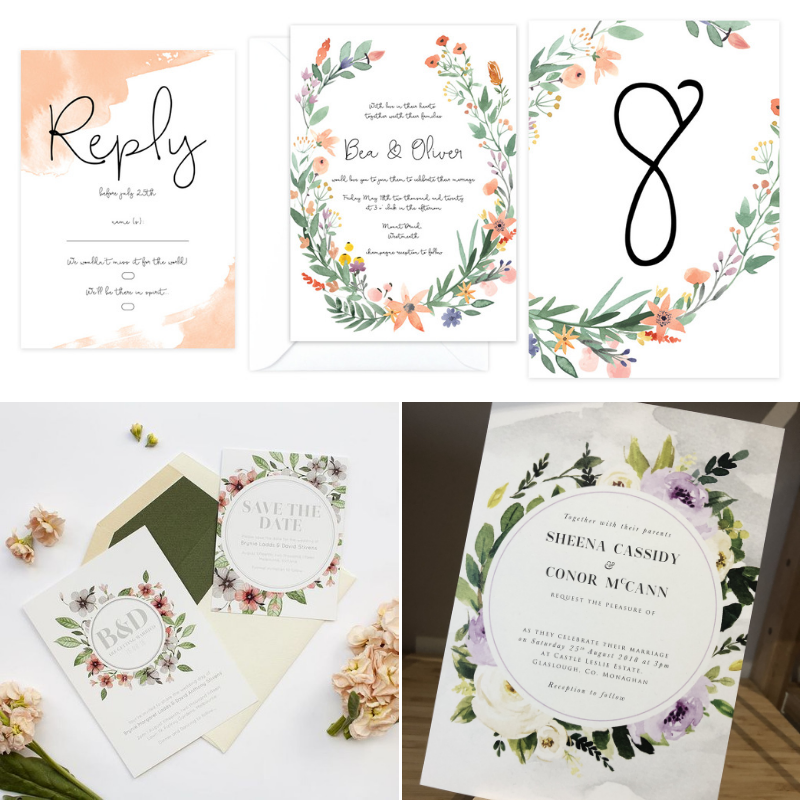 Wedding stationery may not seem as important as things like décor and dessert, but trust us, it definitely is. 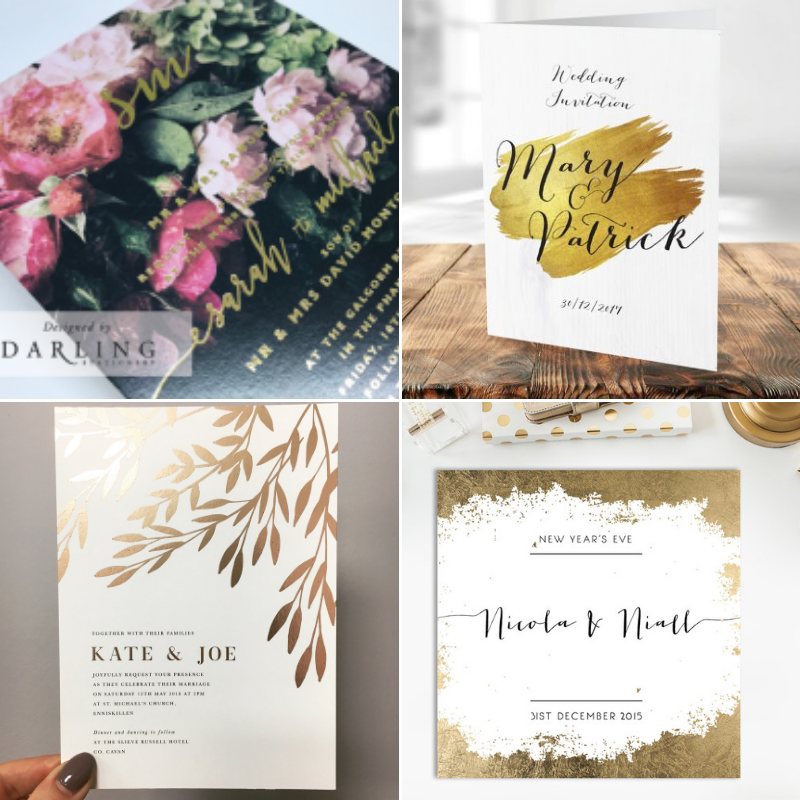 When it comes to the wedding invitations, a lot of emphasis is put on how they will look but have you ever thought about what they should say? 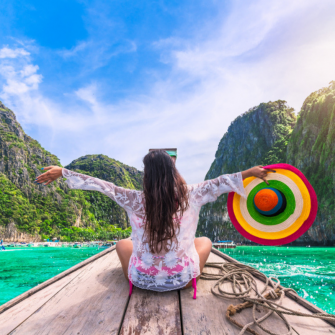 This is your chance to reveal the ‘need to knows’ to the guests ahead of the big day, so follow this guide to make sure nothing is left out! 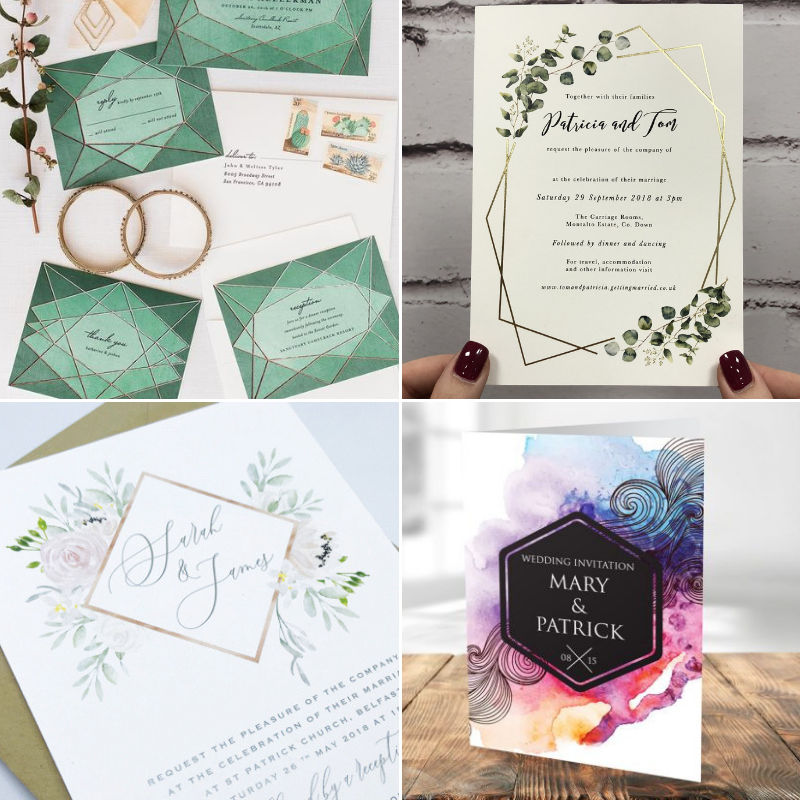 The style of your day will strongly set the tone of your invitations, so either have a clear vision of your overall style or be inspired by your resulting invitation! 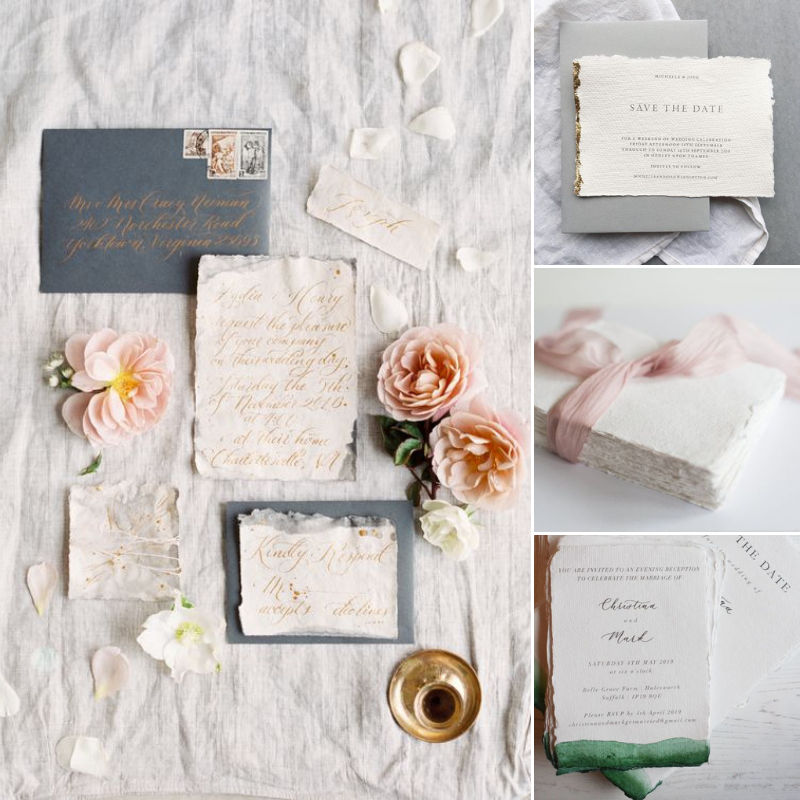 Couples nowadays incorporate their stationery, sent long before their special day, into their reception décor. 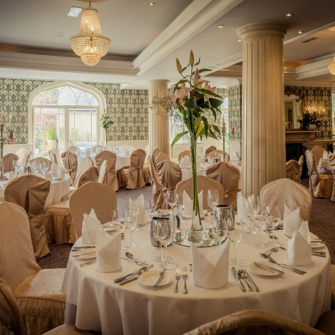 From the table plan, seating list, menu showing each course and timeline of proceedings throughout the day; don’t be afraid to push the creative boundaries and add some personality too! 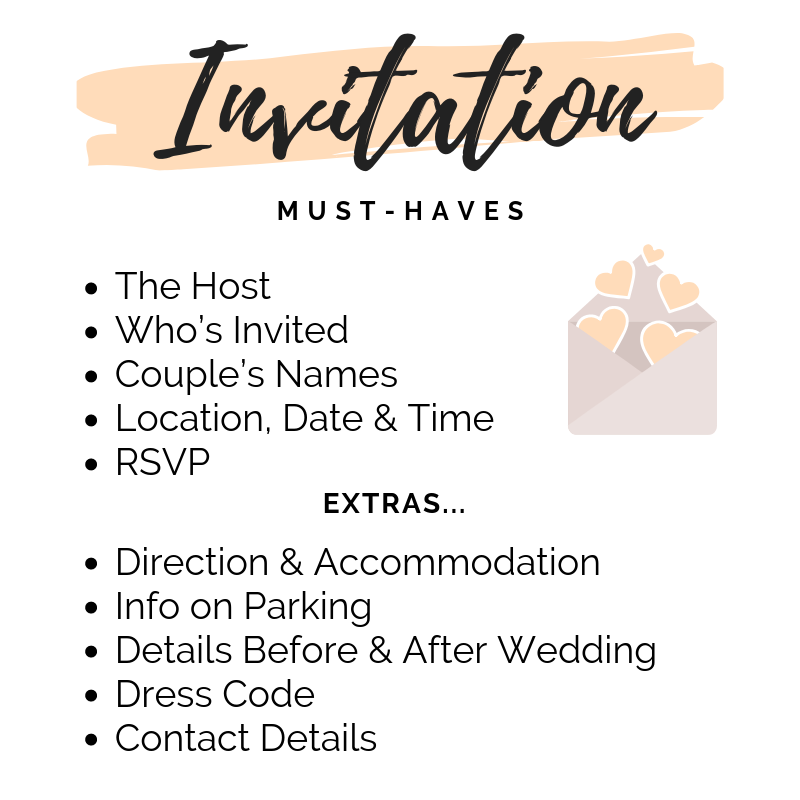 A wedding invite is very different from setting up a group chat on Facebook or WhatsApp! 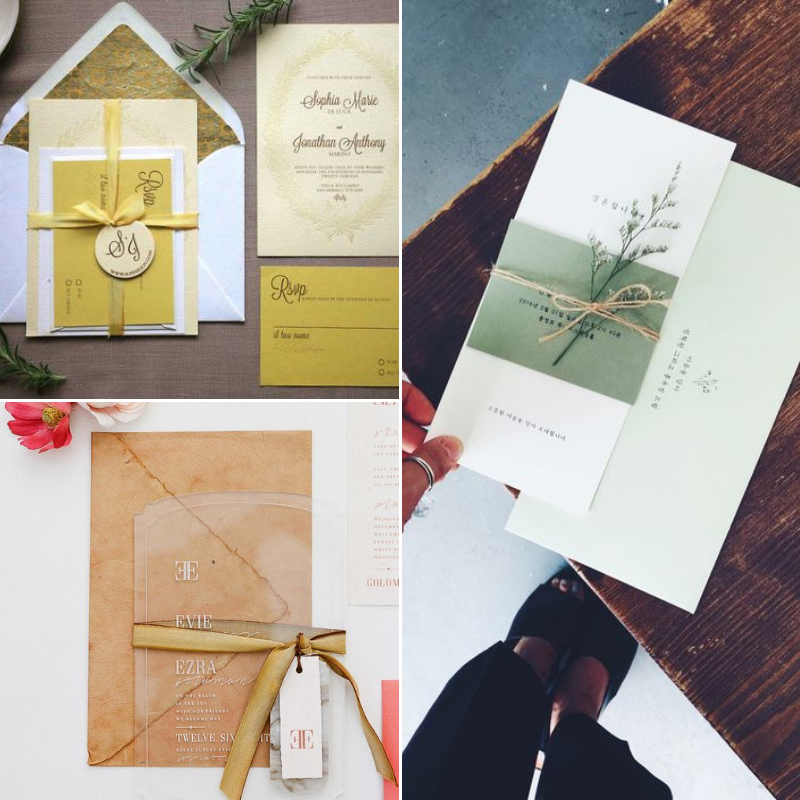 It’s time to get formal and include niceties associated with every wedding invitation! We’re anticipating another surge in the commissioning of illustrations. 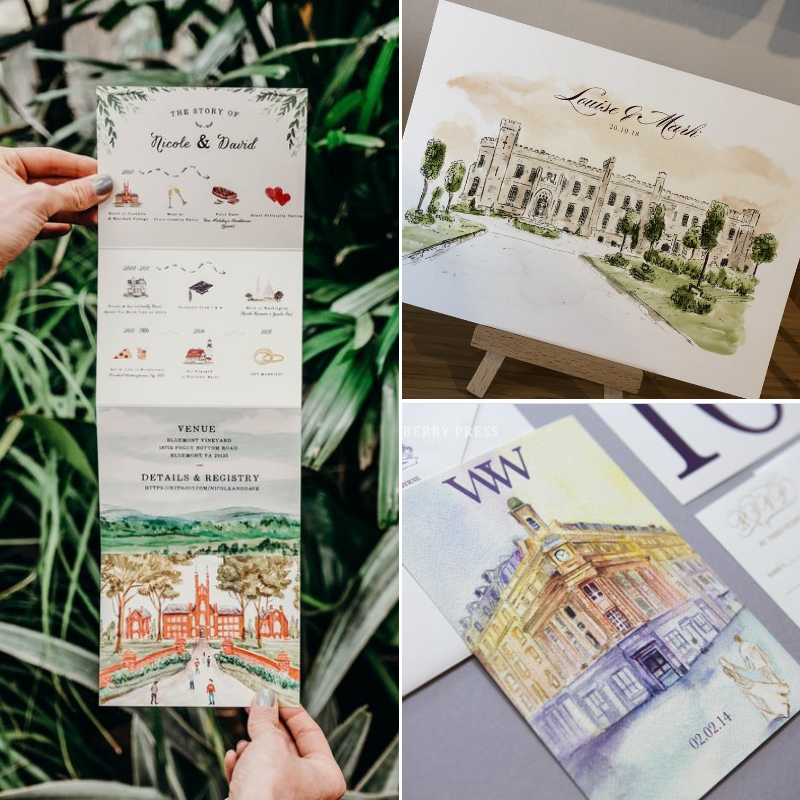 This could be an original illustration of your venue, you and your partner or hand-painted elements that capture the essence of your wedding style. Royal Jewel tones such as burgundy and navy are set to be big, plus black and grey are popular too. This will give your invitations a touch of elegance. Go ahead and add a geometric border or a few bold shapes to your stationery to make it pop. If you really want to be extra, go with triangle or hexagon-shaped cards instead of the standard rectangles. This is a perfect fit if you’re planning a garden wedding or want beautiful blooms and greenery to be the highlight of your big day. Copper is the metallic of the moment. You can use this in your border, to outline or fill in your graphics or to colour your text. 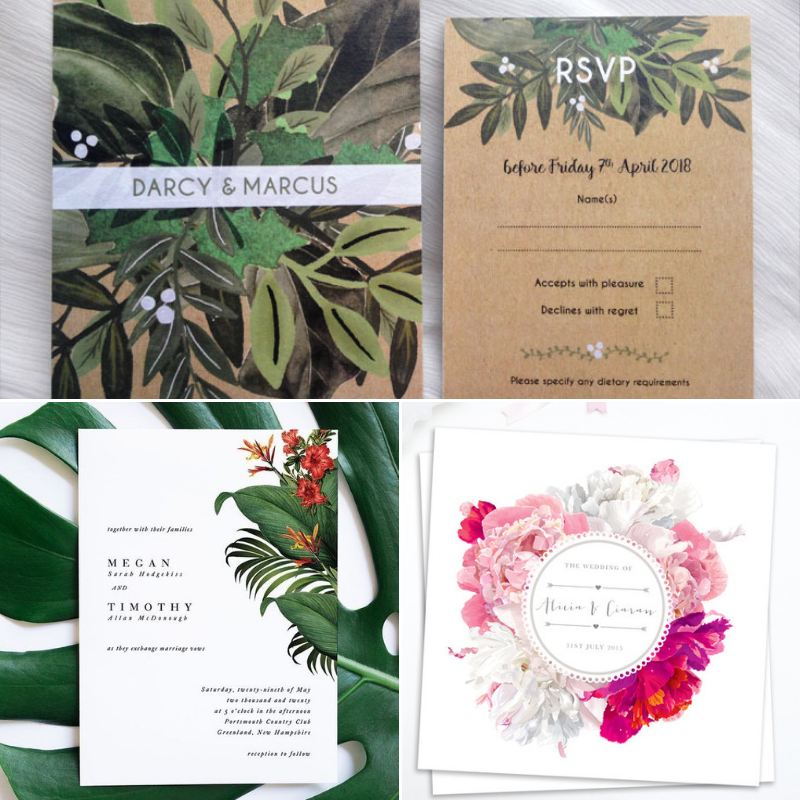 The trend for the tropical look is evolving, with stationery featuring fewer designs of oversized palm leaves and more proteas, pastel-coloured orchids, and quirky florals like anthurium. 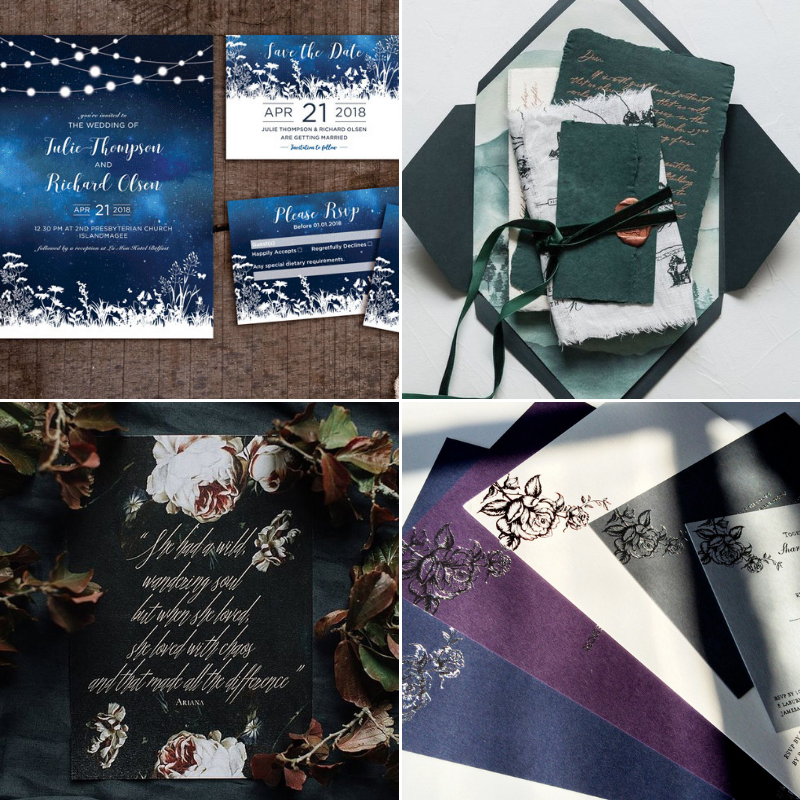 From velvet or silk ribbons to natural twine, hand finishing your invitations or suites adds that personal feel that’s anything but off the shelf. 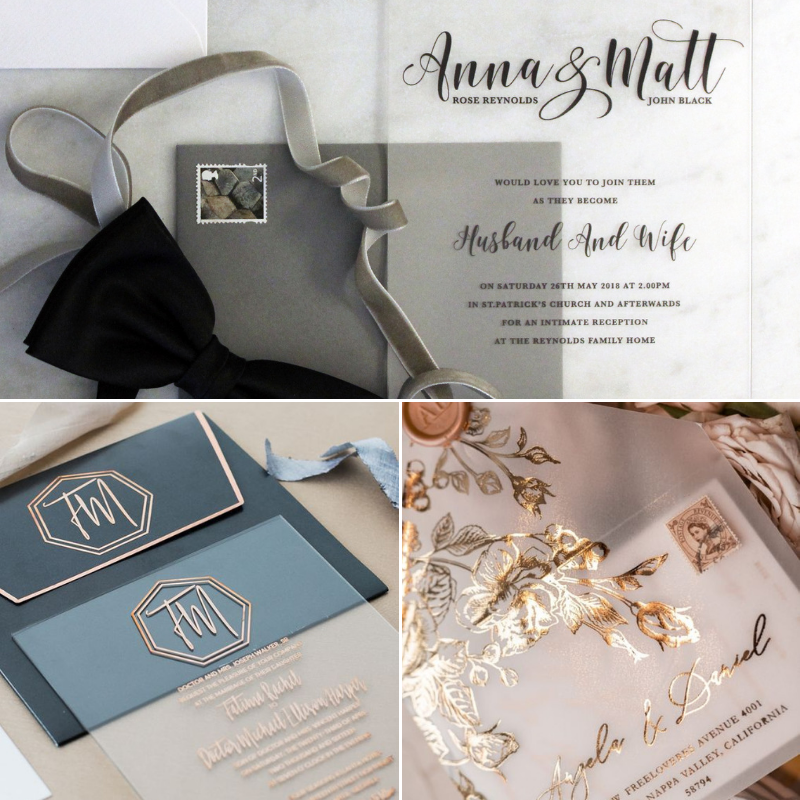 Vellum is a beautiful way to create low cost invites that look luxurious and expensive. The neutral nature of vellum means that you can combine it with almost any colour or print to create something perfect for you. 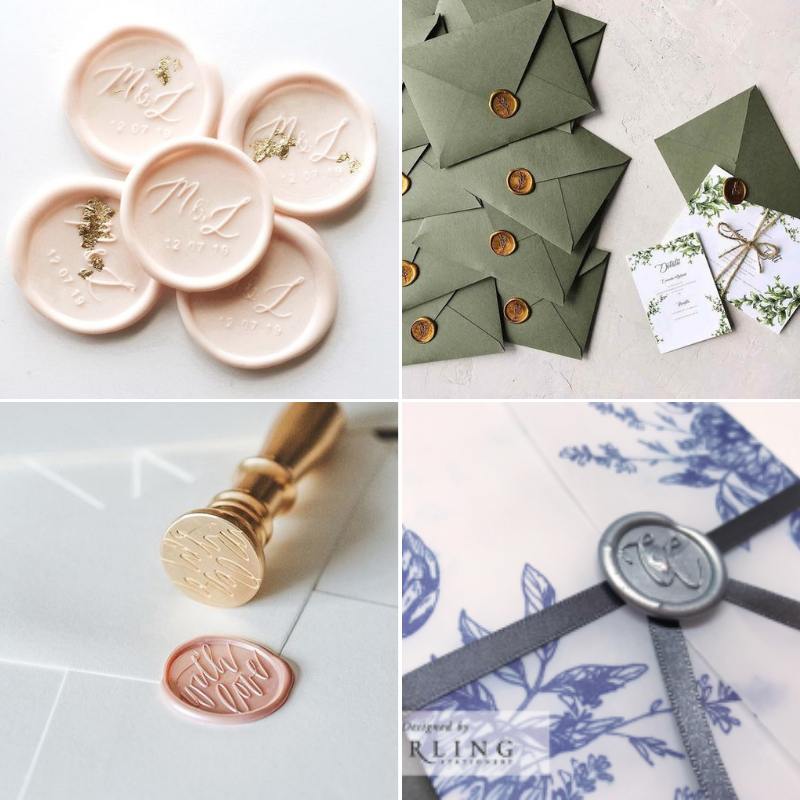 Often paired with rough, textured envelopes and stunning minimal designs, complete with a touch of calligraphy, wax seals add the little bit of luxury you may never have known that you needed. Unlike the clean, crisp paper you might be used to, deckle edge invitations have rough-cut edging that offers a soft, feathery charm. 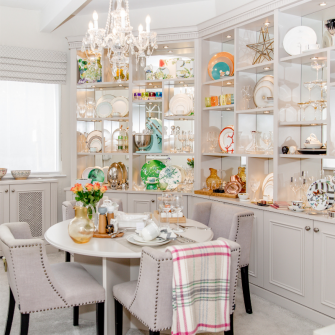 Perfect for a more delicate, antique-looking style. 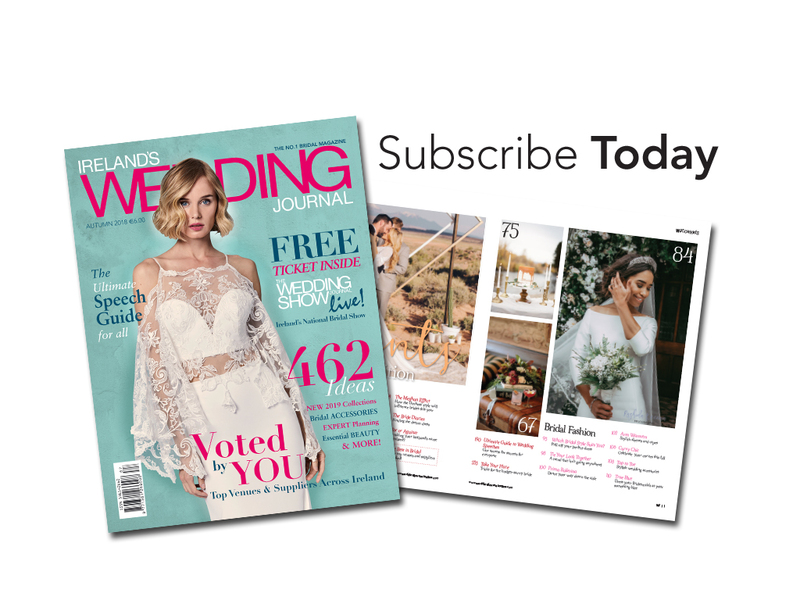 Visit our online directory to find the experts who can create your dream invitation! 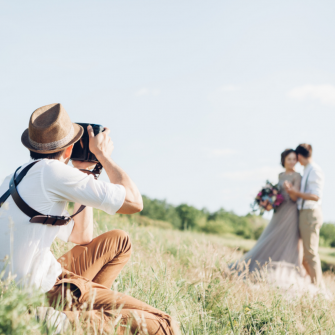 Week 5: Are your Bridesmaids Good Enough?